Australia’s ‘brush with terror’ leaves Abbott with much to explain yet little wriggle room. The Sydney siege has left Australian Prime Minister Tony Abbott with a lot of questions to answer in a climate of expectations with little wriggle room, a climate of shock and fear and doubt, a climate in which his typical evasiveness will appear even less credible, and in which his attempts to exculpate himself could find him fighting for his political life. First he must deal with the security breach. Abbott justified his government’s increased security measures and its heightened national terror alert as a trade-off: the need to give up some freedoms in order to make us all more secure. Now he must account for the demonstrable failure of these measures to protect Sydney and by extension the whole nation. “Regrettably for some time to come, the delicate balance between freedom and security may have to shift he said in September, “there may be more restrictions on some, so that there can be more protection for others, he promised. “Creating new offences that are harder to beat on a technicality may be a small price to pay for saving lives and for maintaining the social fabric of an open, free and multicultural nation,” he reasoned. 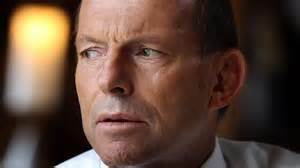 At the time, Abbott laboured the sacrifices which the nation would have to endure, but now the circumstances of the Sydney siege are causing his ‘ordinary Australians’ to question what they have received in return; challenge whether he has kept his side of the bargain. His political compact with the people is looking daily more fragile; wearing dangerously thin. It does not matter if, as Abbott is now reasonably claiming, there are no measures which could have prevented mad Man Monis’ deranged act of hostage-taking. The Australian public does not want nuanced excuses, it expects the PM to deliver the increased security he promised. It matters little that, once again, as in economic matters, his government may have over-promised and under-delivered. Security is a much more immediate basic need. There are no second chances; no appeasement by enquiry for a public that feels let down, scared. Abbott, the would-be ‘protector’ is trapped in the gilded cage of his own rhetoric as defender of public safety. His climate of expectations may have been a selling point in justifying increasing security but it has now turned into a noxious miasma of doubt, disappointment and betrayal which threatens to choke him and his government. The public will not be bought off with a token inquiry, in which those AFP, ASIO and police responsible agree to look into their behaviour. The public, moreover, does not want to hear of bungling or systemic failure, although such lapses appear at every turn. There is the curious quest to discover Monis’ gun licence which ended with the AFP admitting it had wrongly advised the PM that the man ever held one. Despite the logical impossibility of anyone having a licence for a pump action shotgun, a prohibited weapon, the PM’s insistence on its existence just diminished his credibility. The nation is not reassured to learn that the AFP mistakenly advised the PM. How much other dud advice is he receiving at our expense? Then there is the regrettable and curious fact of Monis entry into Australia whence he fled from Iran claiming political persecution, an event which Attorney General, George Brandis, on Radio National this morning was unaware of but which he assured listeners would be looked into. Historically, Australia’s ignored Iran’s plea for Monis extradition to answer criminal fraud charges at home. “We have no extradition treaty with Iran, George Brandis has pointed out, failing to acknowledge that treaty or no treaty, the government failed to co-operate with Iran at the cost of accommodating a criminal fraudster and imposter in Australia. There are many other failures, indeed, too many other failures in this tragedy of errors. These include the failure of our legal system to protect its citizens from a serial sexual offender who was a suspect in the murder of his own wife, a criminal with a history of erratic and extreme behaviour including writing abusive letters to widows of soldiers who had died in Afghanistan. Abbott committed Australia to military intervention in Iraq, a failing nation state in a dangerously unstable region on the grounds that this would help make Australia safer. Now has some very difficult explaining to do even before the general public learns that our boys are indeed aiding and abetting a regime which is both corrupt and in league with its own local terror squads. It is not a venture that engenders reassurance. As the tragic events of the Martin Place siege recently demonstrated, the much vaunted Abbott government safeguards that are in place don’t seem to be working. Just the reverse. Whilst the link with IS in the Sydney siege is tenuous, it seems any overseas military presence may attract the wrong sort of attention from certain mentally disordered, marginalised, misfits in our community. Of course, ultimately, the PM’s assurances were mere rhetoric. Australians are no safer in fact than we were before Abbott’s anti-terror crusade. More to the point, nor do they feel safer: public opinion polls indicate that Australians feel less safe now than when the PM started his sabre-rattling militaristic foreign policy and his hairy chest beating internal security measures. The only certainty is our new uncertainty. Abbott has increased our anxiety about our personal privacy and liberty whilst conspicuously failing to deliver his promised extra security. Our chief unease is that the state has greatly increased its authority over individuals whilst reducing its need to be open and accountable for the uses or abuses of that new power. This internal threat to our peace of mind outweighs our fear of any overseas, external enemy. Abbott’s terror security package has not come cheap. The cost of the war in Iraq, to call it what it truly is, amounts to 2.5 billion so far, and is likely to demand more as an increasingly hawkish US foreign policy discovers what advisors have said all along, that you can’t win a war from the air. In terms of its damage to his political credibility and in terms of its abrasion of the fabric of society and the body politic, Abbott’s whole security and terror campaign appears to have backfired badly as wiser heads could have warned him had he been keen on taking any wide advice. Now the ex-pugilist has boxed himself into a corner where the gap between his promises and his capacity to deliver is illuminated by the public’s disappointed expectation of safety, a harsh and unforgiving scrutiny which may well end his bout. For in the final analysis, there is no abstraction, no form of words that can ease the nation’s suffering, salve its grief, heal its bewildered pain at learning that a dangerous lunatic was able to end the life of respected barrister Katrina Dawson, a young mother of three, kill a ‘special’ boss and colleague, a brother and a son, Manager Tori Johnson who bravely attempted to wrest the gunman’s weapon from him by all accounts. Then there are the shattered lives of those who survived that cannot be mended by any glib assurances, apologies or excuses. These wounds are deep beyond words, these lives lost a sacred trust that all of us who mourn feel each one of us neglected; somehow failed to properly protect. very good article, it would be nice to mention the influence the u.s is having on our soil, agenda 21 etc, great writing. « Sydney Siege Gunman killed by police mentally disturbed and acting alone not a terrorist.